Welcome to the SCRIP program at CUMC! Ordering SCRIP cards is very easy. Order forms on the table outside the church office can be turned in with a check (cash is OK, too) to SCRIP coordinator Bonnie Swenson or dropped off at the office. Orders are accepted every 1st and 3rd Sunday with the SCRIP cards arriving by the next Sunday for distribution. If you are interested in ordering online, there are instructions on that same table for setting your account. There are additional online ways to order SCRIP conveniently: SCRIP Now, Reload Now, and even an app called My SCRIP Wallet. 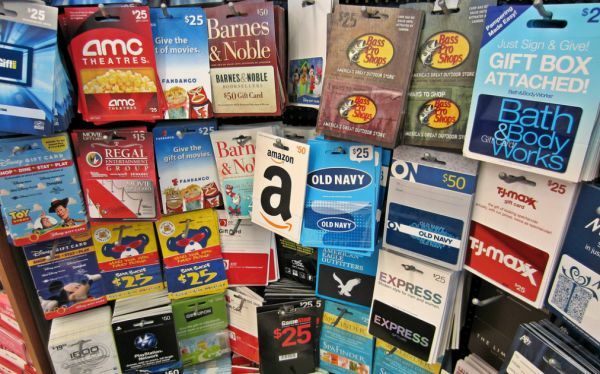 Some cards can be reloaded rather than have to buy a new plastic card each time: Eat ‘n’ Park, Starbucks, and Sheetz are a few examples. Recent SCRIP Order produced great results. For the most recent CUMC order, several people new to SCRIP ordering tried it out, and the church earned over $160 from the card sales from just 14 people! Give it a try! It may fit very nicely into your budgeted expenses AND help out our church along the way.